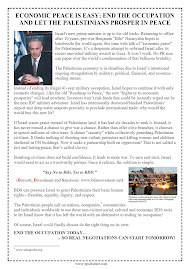 As debate intensifies over the anticipated Palestinian bid for statehood at the UN in September, many column inches have been devoted to UNRWA, the Agency mandated by the General Assembly to offer education, health, relief and social services to Palestinian refugees until a just and lasting resolution of their plight is achieved. Some commentators have focused on neutrality issues around UNRWA, its staff, its installations and its education programs. Also, UNRWA has been accused of "perpetuating the refugee situation" and the question has been asked "why not dissolve UNRWA and hand the refugees over to UNHCR which would resettle them?" The alleged issues around neutrality are founded on discredited myths and misunderstandings. Most important, they fail to take account of the neutrality work which the Agency undertakes. The critiques of UNRWA's alleged role as a "perpetuator of the refugee situation" fail to grasp the fact that UNRWA's work is consistent with established international refugee law and practice and that the Agency's mandate to protect and assist refugees, as exclusively granted by the General Assembly of the United Nations, will remain in effect until its parent body decides otherwise. UNRWA imposes the strictest standards of neutrality on its staff, beneficiaries, suppliers and installations that go well beyond those of many comparable organizations and even governments. From recruitment to separation there are a broad range of Agency processes and mechanisms to ensure staff neutrality. Every six months, staff names are checked against the UN 1267 Sanctions Committee list of terrorists and terrorist entities. There have been no matches. 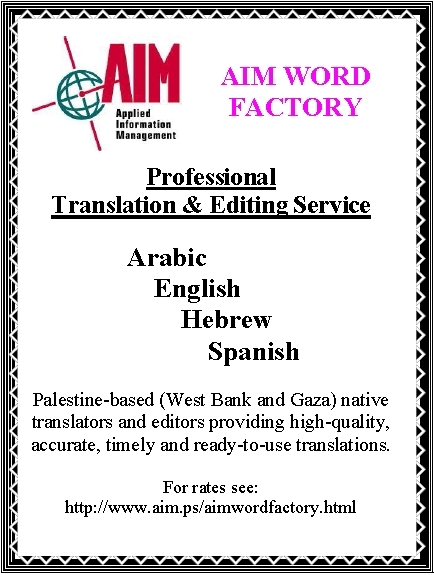 Annually lists of all staff are provided to, for example, Jordan, Israel and the Palestinian Authority. UNRWA conducts six-monthly checks of the names of all suppliers and other payees against the 1267 list. There have been no matches. With regard to UNRWA installations, in the West Bank, the Gaza Strip and Lebanon, UNRWA's Operations Support Officer Programme, a team of specially tasked officials, conducts regular installation inspections. The Agency protests armed incursions into its installations by the Israel Defense Force and Palestinian militants. There is a strict no weapons policy in UNRWA installations. Inappropriate conduct triggers Agency investigations and can result in the denial of discretionary assistance such as burial expenses, shelter rehabilitation or re-housing assistance. In addition, the gravest accusations made by UNRWA's critics have been shown to be unfounded upon investigation. The repeated claim during the Gaza war that there were militants in our installations is perhaps the most notable high profile recent example. All the above neutrality measures are underpinned by internal and external oversight and auditing. Moreover, we report regularly on all the above to our donors, including the United States who conduct their own regular reviews. The support for the work of UNRWA from the governments of the US and Israel speaks for itself. Likewise, our curriculum and text books have been subjected to independent review. UNRWA in the West Bank and Gaza uses the books of the Palestinian Ministry of Education, which makes sense given that we are preparing students for public exams. A US State Department review of the text books used by UNRWA found them to be free of incitement, that the curriculum was "peaceful" and one in which "religious and political tolerance was emphasized". The other set of arguments advanced against UNRWA is based on the fanciful notion that UNRWA itself and its approach to its work are per se the reason for the continuing existence of Palestinian refugees. Therefore, as the false argument goes, Palestinian refugees and the issues they represent would disappear if UNRWA were dissolved and the refugees became the responsibility of another agency such as UNHCR. These notions have no foundation. 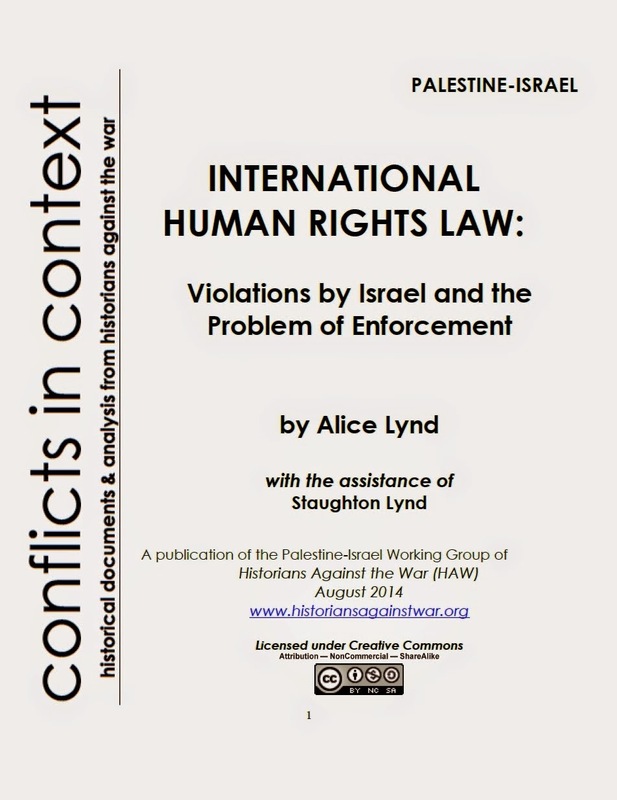 They are contradicted by the established principles and practice of international law and by the realities of the Israel- Palestinian conflict and its political context. Like many other refugee populations, Palestinian refugees emerged from circumstances of armed conflict, forced displacement and dispossession of land. 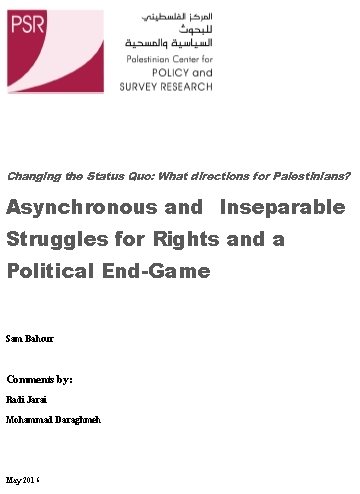 To the present day, and particularly in the occupied Palestinian territory, their state of exile is compounded by human rights violations, intra-Palestinian tensions and economic deprivation. Palestinian refugees continue to be refugees because the issues which caused their exile remain outstanding. Only by addressing in a just and durable fashion the underlying causes of conflict -- and by doing so in accordance with international law and the rights of refugees -- can the refugee issue be laid to rest. This is the responsibility of the parties and international political actors. It is wishful, cynical thinking to suppose that Palestinian refugees can be made to "go away" by dispersing them around the globe or by dissolving the Agency established to protect and assist them pending a just and lasting solution to their plight. In addressing the Palestinian refugee issue, agencies and actors are guided by various considerations and frames of reference which are integral to the international framework of protecting and assisting refugees, including Palestinian refugees. 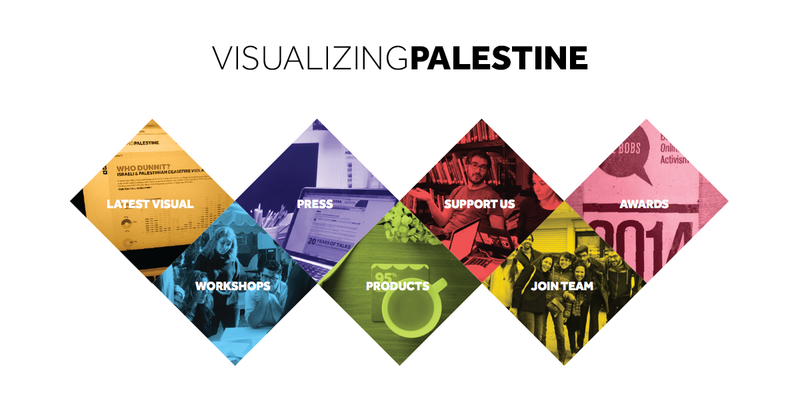 These include established principles that are of universal application and must be observed by all, including UNRWA or any other agency or actor seized with the Palestinian refugee issue. Those who critique UNRWA's role conveniently ignore these considerations. In the context of seeking solutions to refugee situations, one such consideration is the importance refugees attach to voluntarily returning to the country from which they originally took flight. In the global context, voluntary repatriation is generally referred to as the "preferred choice" of refugees. A pertinent reference is Article 13 (2) of the Universal Declaration of Human Rights (1948) which states that, "Everyone has the right to leave any country, including his own, and return to his country." Another relevant and universally recognized principle is that refugees and their dependants retain their status as refugees until such time that a just and lasting solution to their plight is realized. That some refugee situations (for example, the situation of groups of refugees from Western Sahara, Burundi, Somalia, Myanmar and Afghanistan) are described as "protracted" reflects this recognition. Given that this principle (the principle of family unity") is universally recognized and implemented, there is no basis to question the reality that Palestinian refugees have for generations been compelled by circumstances, to retain their refugee status. Such questions betray a lack of understanding of the international protection regime and serve only to distract from the need to address the real reasons for the protracted Palestinian refugee situation, namely the absence of negotiated solution to the underlying political issues. Let me conclude by saying that UNRWA will continue to advocate for the full protection of the human rights of Palestinian refugees as required by UN resolutions and international law. We will continue to advocate for a resolution of their plight in the context of a just and lasting peace, agreed by the parties in consultation with the refugees, whose freely exercised and informed choices must be respected. It is the failure of the parties to reach such a peace that has led to the perpetuation of the refugee question, not UNRWA's continued service provision, without which hundreds of thousands of the most disadvantaged people in the Middle East would be deprived of essential services - a situation that would hardly advance regional stability. Meanwhile, we will continue with our human development work in education, health, relief and social services, thus contributing to calm in the communities in which refugees live. "The lack of clarity and flexibility at crossings for international workers in the West Bank, coupled with the continued use of the "PA-only" stamp, hampers the ability of companies and NGOs in the West Bank to hire and retain the talent they need." Issue has been cabled until all blue in the face. Question remains, what will they do about it?! BETHLEHEM (Ma'an) -- The Palestinian team responsible for preparing the United Nations initiative in September has been given an independent legal opinion that reveals a high risk involved with its plan to join the UN. An initiative to transfer the Palestinians' representation from the PLO to a state will terminate the legal status held by the PLO in the UN since 1975 that it is the sole legitimate representative of the Palestinian people, according to the document. Crucially, there will no longer be an institution that can represent the inalienable rights of the entire Palestinian people in the UN and related international institutions, according to the brief. Representation for the right to self-determination will be gravely affected, as it is a right of all Palestinians, both inside and outside the homeland, the legal opinion says. This change in status will severely disenfranchise the right of refugees to return to their homes and properties from which they were displaced. The seven-page legal opinion, obtained by Ma'an, was submitted to the Palestinian side by Guy Goodwin-Gill, a professor of public international law at Oxford University and a member of the team that won the 2004 non-binding judgement by the International Court of Justice that the route of Israel's wall was illegal. The Palestinian team, headed by Saeb Erekat, has been preparing an initiative that involves the replacement of the PLO at the UN, substituting it with the State of Palestine as the representative of the Palestinian people. As an actual state will not be created in September, as Israel's occupation continues, the debate is focused on whether membership should be requested from the Security Council or if the General Assembly should be asked to grant recognition of the state as "observer," a status that conveys less than full UN membership. Yet, no consideration of the dramatic legal implications for Palestinian rights have been discussed, which this legal brief says will occur if the PLO loses its status. The brief is to "flag the matters requiring attention" so that a substantial amount of people who have interests in the right of return, for example, are not "accidentally disenfranchised." 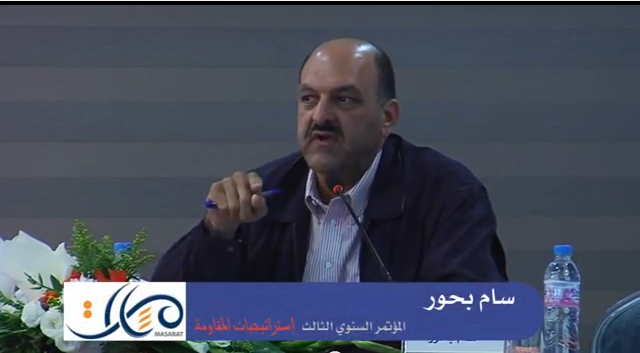 The prospect of substituting the PLO with the State of Palestine raises "constitutional" problems in that they engage the Palestinian National Charter and the organization and entities which make up the PLO, he writes. Secondly, "the question of the 'capacity' of the State of Palestine effectively to take on the role and responsibilities of the PLO in the UN; and thirdly, the question of popular representation," the opinion says. Due to the constitutional structure of the PLO and the history of the Palestinian Authority, which was established by the PLO as a short-term, administrative entity, the PA "has limited legislative and executive competence, limited territorial jurisdiction, and limited personal jurisdiction over Palestinians not present in the areas for which it has been accorded responsibility," it says. The brief says the PA "is a subsidiary body, competent only to exercise those powers conferred on it by the Palestinian National Council. 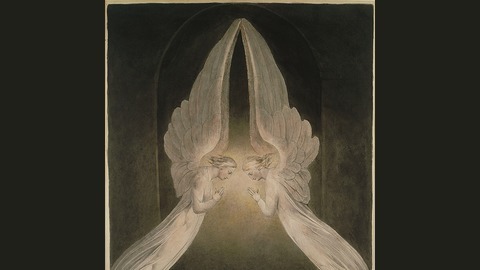 By definition, it does not have the capacity to assume greater powers." It cannot "'dissolve' its parent body, or otherwise to establish itself independently of the Palestinian National Council and the PLO. 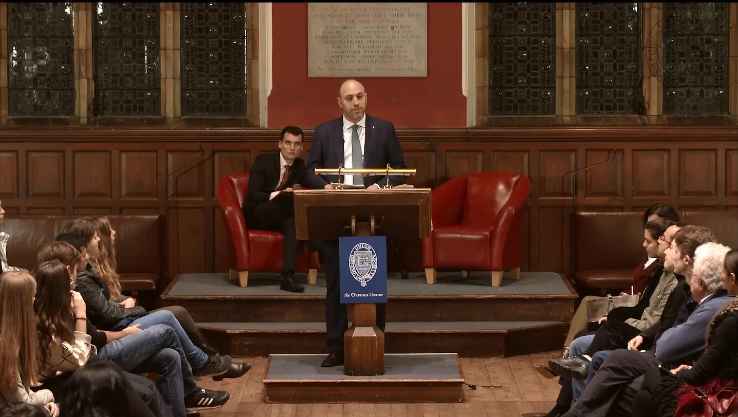 Moreover, it is the PLO and the Palestinian National Council which derive their legitimacy from the fact that they represent all sectors of the displaced Palestinian people, no matter where they presently live or have refuge." 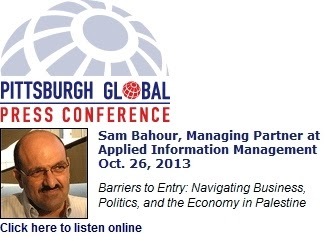 Particularly crucial are the potential implications for Palestinians in the Diaspora. The majority of Palestinians are refugees, and all of them are represented by the PLO through the PNC. 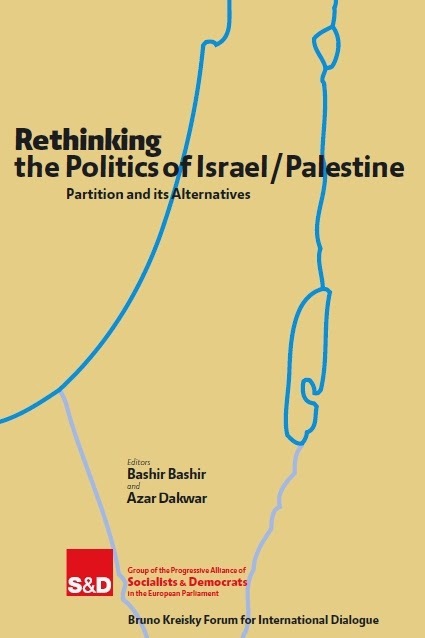 "They constitute more than half of the people of Palestine, and if they are 'disenfranchised' and lose their representation in the UN, it will not only prejudice their entitlement to equal representation ... but also their ability to vocalise their views, to participate in matters of national governance, including the formation and political identity of the State, and to exercise the right of return," the legal briefing says. Karma Nabulsi, a former PLO representative and now a professor at Oxford University, says she is familiar with the document. Palestinian officials have also seen the legal opinion, she says. "Without question, no Palestinian will accept losing such core rights for such a limited diplomatic initiative in September," she says. "First, we will not have liberated territory upon which to establish a State. But in losing the PLO as the sole legitimate representative at the UN, our people immediately lose our claims as refugees to be part of our official representation, recognized by the world. 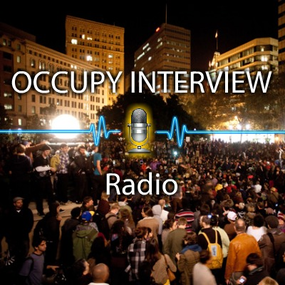 "This is an urgent and critical issue for our whole people. We must ensure our representatives advance our rights in international forum, not weaken or endanger them. Of course now that the legal dangers have been raised so fully, I am confident the initiative will protect the status of the PLO as sole legitimate representative in the UN in order to advance the rights" of the Palestinian people. She says Goodwin-Gill has defined and clarified the "red lines" in legal terms. "The PLO is the representative of the people, not just a part of the people; the PLO is the architect and creator of the Palestinian Authority; that any change in who represents the people or a part of the people requires an expression of the popular will and international recognition," she explained. "Neither the Palestinian Authority nor the PLO can alter the role and structure of the PLO without the agreement of the entire Palestinian people. In any case, the PLO and the Palestinian people were not aware that by losing the PLO as representative at the UN, it would create such legal dangers. Now they are." She concluded: "Obviously, we need clarity from the PLO on this critical issue, and it is important that the Palestinian public everywhere, especially the refugees in the shatat, are given concrete reassurances that representation of their core rights -- on both representation and right of return -- will remain untouched in September." Finally some type of debt agreement has been reached — a pitiful one, to say the least — and the S&P rating agency and stock market apparently agree. This was a terrible debt agreement, but we must take it in stride, and I commend Congressman Tim Ryan for voting against it. As expected, conversations and debates have already begun about where we should be cutting our spending. 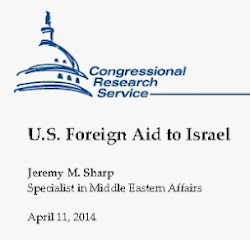 Here’s an unlikely suggestion, recently proposed by the Tea Party: cut foreign aid to Israel. At the very least, until they comply with U.S. demands. As an American living in Palestine through November, the waste of our tax dollars by Israel could not be any more obvious. Several estimates of the total amount of funding the U.S. has given Israel since 1948 range from of $109-120 billion. Direct foreign aid is currently over $3 billion a year, in addition to several billions in direct military funding. Contrary to U.S. policy, Israel is the sole country that is permitted to use 25 percent of the billions in military aid received from the United States to purchase directly from their own weapons manufacturers. Because of this, Israel has become one of the world’s largest exporters of fire arms, often selling to entities the U.S. prohibits arms sales to; for instance, China. It is true that Israel is only one of many nations (by far the largest recipient) currently receiving foreign aid. But there’s a catch: other nations comply with U.S. demands, whereas Israel does not. American economic assistance allows the Israeli government to allocate part of its budget to the advancement and maintenance of illegal Israeli colonies in the West Bank, many of which, according to Israeli military figures and Palestinian records, are built on privately owned Palestinian land. These colonies have been deemed illegal by many international bodies, and in the words of Secretary of State Hillary Clinton, they are “illegitimate.” Over 500,000 individuals from Brooklyn, Europe, Russia and other pockets of the world have illegally colonized this land. With unemployment at 9.1 percent, a severely weak economic recovery, and now a budget that’s going to cut spending right when we need it most, it is every American’s patriotic duty to question where our money is going, and to whom it is going. Unfortunately, the United States has a double standard on this policy of foreign aid: when the Palestinians announced they want to seek independence at the U.N. in September from the illegal Israeli military occupation of Palestine, President Obama threatened to cut off funding because the Palestinians were “avoiding negotiations.” Yet we continue to fund Israel. Where is the value added? As an economics professor, I tend to view things through the cost-benefit lens: the political and economic costs of funding Israel far outweigh the benefits. 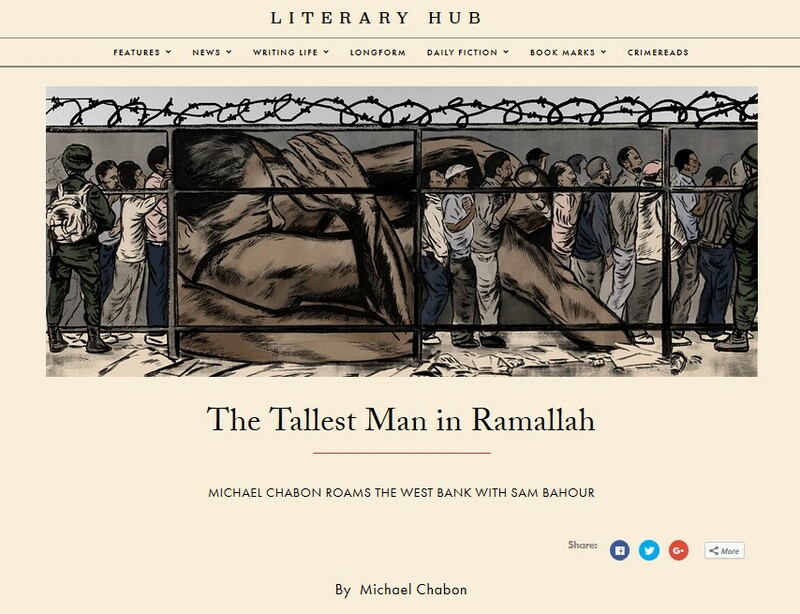 The writer is a Girard native living temporarily in Birzeit in the West Bank. 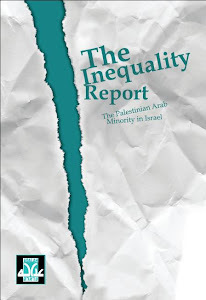 Nurit Peled-Elhanan's new book, exposing the racism of Israel' s education system. Nurit Peled-Elhanan, a long time peace activist and an academic, has just got her book "Palestine in Israeli School Books: Ideology and Propaganda in Education" published by I.B. Tauris. 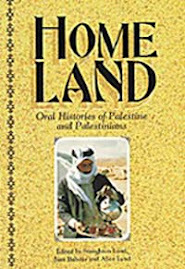 Part of the publisher's description of the book: "She analyzes the presentation of images, maps, layouts and use of language in History, Geography and Civic Studies textbooks, and reveals how the books might be seen to marginalize Palestinians, legitimize Israeli military action and reinforce Jewish-Israeli territorial identity. [ePalestine] Pianist Rich Siegel - "In Palestine"
Please listen to the end. After the song he explains how he moved from a benig Zionist to seeing reality. Very moving. My thanks to Maha, my good friend in Gaza for passing this along. The Palestinian national liberation movement has reached its end. As the Palestinian leadership – if there is such a legitimate body today – prepares to bring the issue of statehood to the UN this September, the weeks and months ahead will witness the last desperate attempt to get the international community to assume their responsibilities and ensure that a Palestinian state becomes a reality in the occupied territories. The reasons for the failure of the Palestinian national liberation movement are many. First and foremost, the shellshock that the creation of Israel caused among Palestinians in 1948 has never really gone away. Half of the Palestinian population at the time were displaced from their homes. Those that refused to flee are today citizens of Israel – a citizenship that was not requested, but rather imposed upon them – and comprise more than 1.2 million people, Muslims and Christians. As if the forced dispossession from 78% of their homeland was not enough, the Israeli military occupied the remaining parts of Palestine in 1967. Israel had planned for that occupation long before the war. 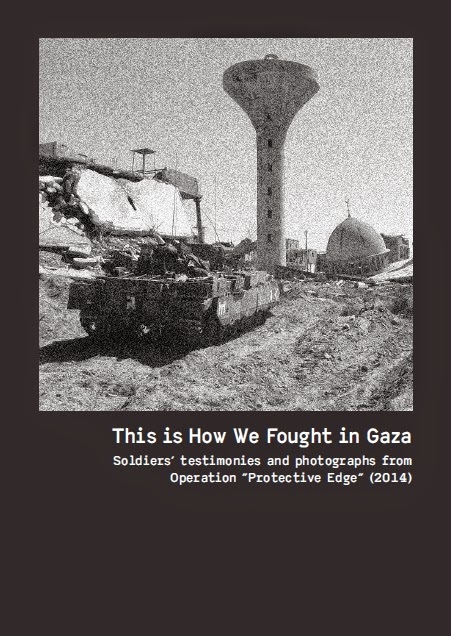 Military occupation is, by definition, regarded as a temporary state of affairs – and one would be stretching the definition to the point of fantasy to consider Israel's presence in the West Bank, Gaza Strip and East Jerusalem as still temporary after 44 years. Reality is much more accurately described as the crime of apartheid than that of military occupation. 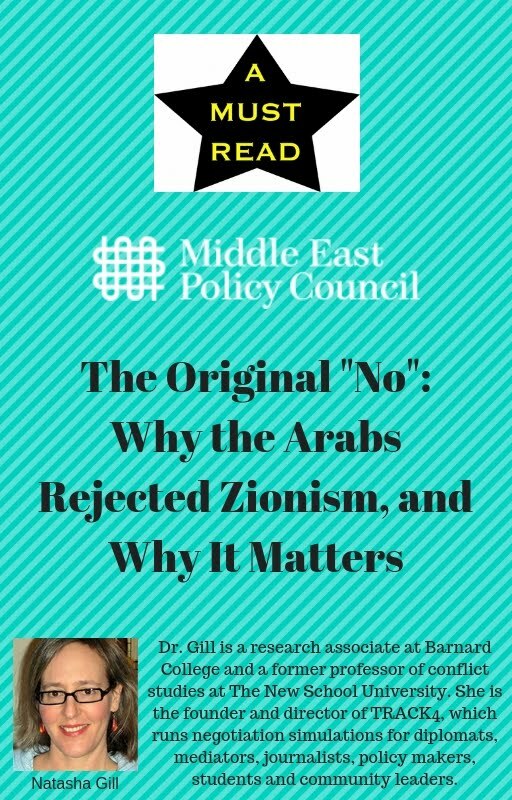 Beginning in the early 1970s, the Palestinians became, as former Palestinian diplomat Afif Safieh put it, "unreasonably reasonable". Year after year the Palestinian leadership offered concession after concession, trying to reach an equitable resolution to their dispossession and military occupation. This seemingly never-ending chain of concessions culminated in what is known as the 1993 Oslo peace accords. These accords were a seriously lopsided bilateral agreement between the PLO and Israel, which attempted to bring the parties to a "final status agreement" within five years. The Oslo accords kept the system of military occupation in place and simply codified the unsustainable imbalance between an occupying power (Israel) and an occupied people (the Palestinians). The accords failed, miserably and multiple times. Not only did a final agreement never happen, but today we are further from a two-state solution than ever before. No amount of 11th-hour wordsmithing by Barack Obama or Binyamin Netanyahu around reviving negotiations by setting a starting point for discussing borders is acceptable. Past procrastination has only created irreparable damage on the ground invoking a dire need for an end game, not yet another starting point. After struggling to revive the peace process for two decades, the Palestinians have lost faith in the process as well as in those tasked with overseeing it, namely the Quartet – United States, Russia, the EU and the UN. For the entire period of the peace process, Israel ploughed forward with more land confiscations, more settlement building, more death and more destruction. Any honest observer would reach a clear conclusion that Israel has no intention of allowing the Palestinians to create a new reality on the ground towards a feasible, workable resolution of the crisis. Nor are the powers that be, namely the US and EU, serious about ending the conflict on the basis of international law. Diplomacy has utterly failed the Palestinians, leaving them with less land and less water, more fragmented, poorer, in disunity, and with fading hopes. The drama unfolding as we head towards September revolves around a simple equation. Those who claim to be the Palestinian leadership have no more tricks up their sleeves to justify remaining in negotiations with their occupier. Thus, they are taking what is being portrayed as a strategic move to apply for membership of the state of Palestine in the UN. 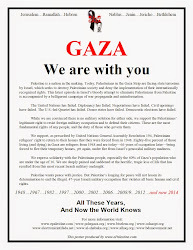 The underlying political fact they are trying to re-establish is that the resolution to this seemingly insoluble conflict is two states, Israel and Palestine, based on UN general assembly resolution 181, which in 1947 partitioned Palestine (illegally, I might add). This move gets an "A" for effort but is doomed to fail even if Palestine is admitted into the UN this year, next year, in five years or not at all. The realities on the ground have changed drastically since 1947. Israel, with blind US support, has succeeded in removing a two-state solution from the feasible options. The new Palestinian leaders, those whom the Israeli negotiators have not yet met, see the larger picture and refuse to believe that Israel desires to live in peace when every indication for 64 years has shown the opposite. The emerging Palestinian leaders see Israel for what it is: a settler, colonial, apartheid movement clinging to a racialist, exclusivist ideology that neither wishes nor intends to allow another state to emerge between the Mediterranean sea and the Jordan river, let alone allowing Palestinian refugees to return to their homes and be compensated for their hardships, as was stipulated as a condition when the UN accepted Israel as a member state on 11 May 1949. 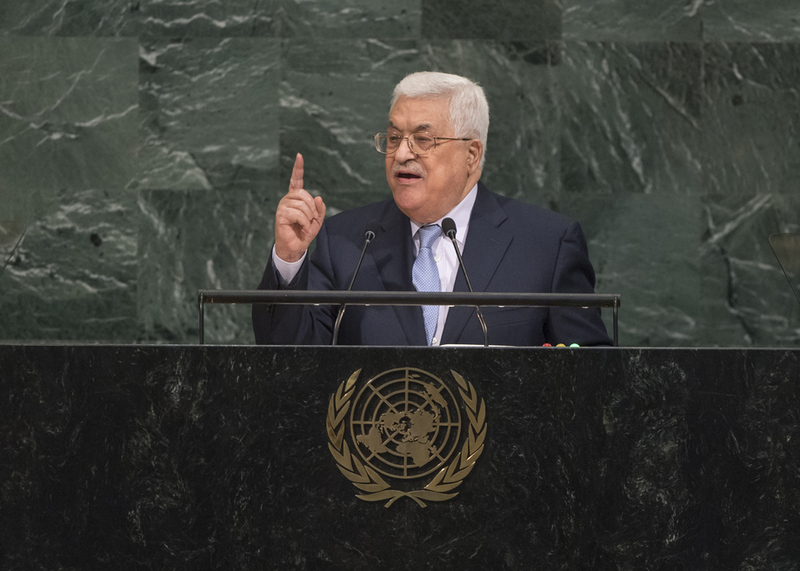 Once this foredoomed move toward Palestinian membership in the UN runs its course, a new paradigm will take root, one that Israel dreads because it implicitly views Palestinians and Israelis as equals, as co-citizens, as partners. This new shift will see Palestinians dropping their desire for independent statehood in a fraction of their historic homeland and instead will find them, within a genuinely representative political structure, articulating their desire for self-determination within their historic homeland, even if that homeland today is called Israel. The Palestinians are about to come full circle. They were correct, painfully so, to call for a secular democratic state at the outset of this conflict. 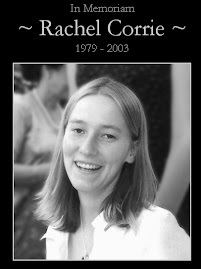 Sadly, they wasted precious time and lost too many lives trying to accept unjust modalities of a resolution. Now, the sooner Palestinians and Israelis realise that our destiny is to live together as equals, the sooner we can begin to rehabilitate our communities and build a single society whose citizens are all equal under law and equal as human beings.